Heaven and angels definitely made an impact on '80s pop culture. 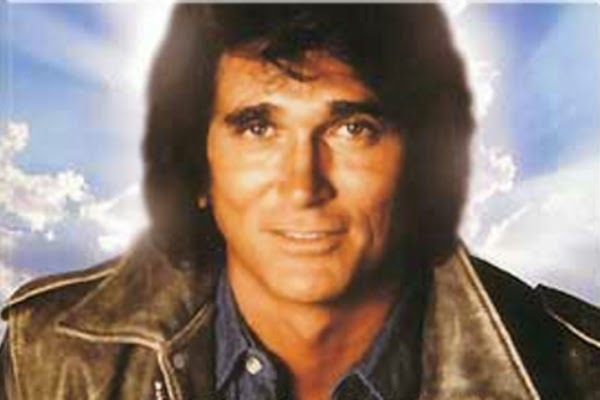 On television, the drama "Highway To Heaven" starring Michael Landon was a huge hit that produced over 100 episodes over 5 seasons. There were also several movies with plots about heaven and angels including The Heavenly Kid, All Dogs Go To Heaven, Date With an Angel, Oh Heavenly Dog, and Two of a Kind. '80s music was no different as many artists produced "heavenly" songs. In this Ultimate '80s Playlist, I'll give you 12 of my favorite songs with "heaven" or "angel" in the title. If I missed one of your favorites, please add it in the comments! - The title track for Allman's 1987 album was used by Cher during her 1988 tour as the opening song (she was married to Allman for 4 years in the late '70s.) For a long time I mistakenly attributed this song to Bruce Springsteen. - Two music videos were released for Adams' #1 hit. The first version (linked in the title) was set at a concert with Adams singing in front of stacked TV sets. The 2nd version featured a girl ditching her man after a DUI arrest and then stalking Adams at a concert...you know, typical plot that earns you a MTV VMA nomination. - The first track released from Carlisle's 2nd solo album went #1 in the US, UK, and five other countries. Thomas Dolby provided the keyboards for the single with Michelle Phillips (Mama & the Papas) and songwriter Diana Warren contributing backing vocals. The music video was directed by Diane Keaton and featured Carlisle's husband Morgan Mason. - "Send Me an Angel" was one of two tracks that landed the Australian band Real Life in the US Top 40 ("Catch Me I'm Falling" was the other.) However the band reached the charts a 3rd time in 1989 thanks to a remixed version on a "Best of" album. I mainly associate it with the infamous dance scene in the movie Rad. -The 3rd single from Collins' 1989 album ...But Seriously peaked at #4 in the US. The music video followed a dog during the rehearsal and performance of the song in concert...seriously. - The rock ballad "Angel" was Aerosmith's best charting song (peaked at #3) until they hit #1 in 1998 with "I Don't Want To Miss a Thing." The music video received heavy rotation on MTV and featured 1988 tour footage along with some ghostly angel effects. - "Heaven" climbed all the way to #2 on the US chart, held back from the top spot by lip-syncers Milli Vanilli. Columbia records was so surprised by its success that they told the band to re-record the song to make it more "radio friendly" after selling 250,000 copies. - Eurythmics scored their first and only #1 in their native UK with the 2nd single from Be Yourself Tonight. The music video featured a medieval style setting with Lennox brought in to entertain a king (Dave Stewart.) The harmonica solo was provided by Stevie Wonder. - "Heaven" became their first top 40 hit in the UK and would only be eclipsed in commercial success by "Pretty in Pink" in 1986. - A one-hit wonder in the their native UK, Breathe would chart 3 songs in the US top ten from their debut album All That Jazz. On the back of the 45 single, the band dedicated the song to "all those who, in innocence, still dream of a perfect love." Awwwwwwww. - Written during the Joshua Tree tour, U2's tribute to the "Angel of Harlem" (Billie Holiday) became the 2nd hit from the Rattle and Hum album. The lyrics refer to many New York City landmarks and also "Lady Day" which was another nickname for Holiday. - Promoted as Wham's "farewell single", it would become their 4th and final #1 in the UK and reach #10 in the US. Elton John played piano on the single and would also accompany the group during their farewell concert at Wembley Stadium in 1986. Check out some of my other playlists like "Cars & Driving", "Girl Names", "Dream", "Colors", and "Night" by visiting the Ultimate '80s Playlist archive.